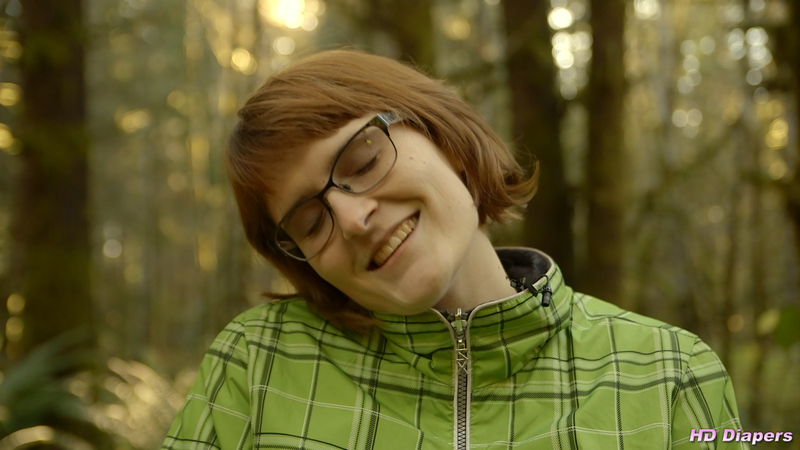 Watch Sosha rub herself in her thick diaper in the middle of the woods in this video. We find Sosha alone in the middle of the forest. She is wearing a coat, shoes, a diaper, but no pants. As we have seen in many of her previous videos, wearing a diaper makes Sosha very horny. The same is true here. Being exposed, standing outside, with her diaper plainly visible only has her more worked up. As we watch she proceeds to rub herself through the thick, tabbed diaper. She masturbates more and more furiously until she finally climaxes. Suddenly, she remembers where she is, and heads off to go find some pants.